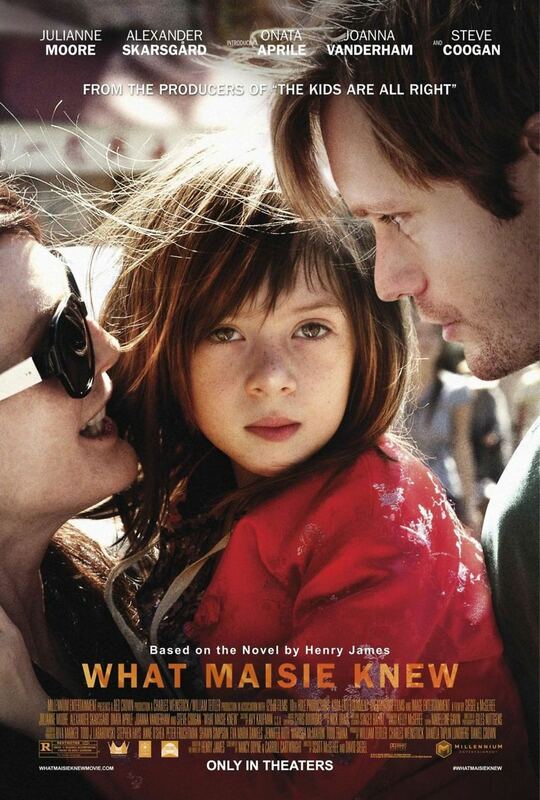 What Maisie Knew DVD and Blu-ray release date was set for August 13, 2013. Maisie is the innocent six-year-old girl who becomes a pawn that her divorcing parents are using to gain power over one another. Her life becomes one of struggle and turmoil as she is shuttled from the home of one parent to another, treated more like a piece of furniture than a flesh and blood daughter with feelings and emotions of her own. But Maisie views the bitterness and competition displayed by her parents with increasing understanding as she manages to extricate herself from their emotional selfishness by continuing to offer each of them unconditional love.